In this course we discuss and configure pricing in the SD module. 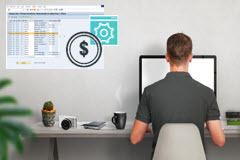 We use a single business scenario (Cost Plus Pricing) as a means of understanding some of the pricing functionality that is available in SAP SD. From beginning to end, we gather and clarify business requirements and then translate them into effective configuration steps. The Michael Management online training provided our project team with a jump start going into our blueprint sessions.